Baseball is one of the most popular games in the USA and in Canada. It is so popular that in the major league games, millions remain glued to their TV or PC sets! In these countries, kids as young as 5 or 6 learn how to pitch a ball. A game of baseball is played on a field wide enough for pitchers to throw the ball hard and for hitters to hit it harder. As such, it is important to know about the field before you start playing. Baseball is about finesse and endurance, and not about swinging the bat like a maniac! 1) How long is the grass? 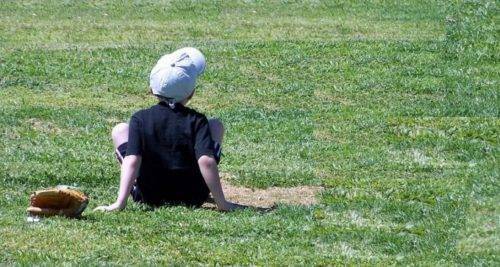 – The longer the grass is, the more chance is there for the ball to get slowed down. Therefore, if you are planning to score a lot of runs and if the grass is long, you need to change your strategy. Dry and wet grass can likewise affect the ball as it makes it hard to throw it. 2) What is the quality of dirt? – Dirt? Yuck! Normally, we scoff at the dirt, but in a game of baseball, knowing its nature can make a difference between a victory and a defeat. Visit the field prior to the game and observe if the soil or dirt is loose or tight. Does it facilitate a bounce or not? Does the ground facilitate the fast rolling of the ball? Is there a slope? How gentle or how steep is that slope? 3) What is the distance of the backstop? What material is it made of? – These are important questions to be asked while observing the field. Back =stops are made of various materials such as wood, padding, cement, fence and concrete. The problem is that some of these surfaces can make the ball ricochet off and take it back to a fielder or the catcher. If you are mainly a batter, backstops which produce ricochet effects are bad news. On the other hand, it is advantageous if you are a pitcher. 4) What about the outfield fence? – There are many questions to be asked about the outfield fence. How far is the fence from the center of the field? If it is too far, you’ll need to hit harder. It is round in shape, oval or is it uneven or angular in shape? If the shape of the fence is irregular, then you may have a hard time playing. The material it is made of also makes a difference. 5) How much of running space or foul territory is there? Tracking the ball is central to fielding. You need to get comfortable with this.Observe if the surface is flat or uneven. Notice where the bullpen mound is. AT is one point of the field you want to stay clear from. You don’t want to fall on your face while chasing the ball and give more runs to the opposing team! All games are a matter of strategy. The better your strategy is, or the better you are prepared, the more are you likely to win. Here are the tips for a better mental preparation before a game. 1) Knowing the basic types of pitches- There are numerous types of pitches you can be thrown. These include the Slider, the Slurve, and the famous Curveball. If you want to perform well, you need to be ready for anything. 2) Knowing the pitcher- You probably know who your opponent team is, and also who the players are. If you do, then you can have a fair idea of their playing style. Does the pitcher open up with a fastball? Or does he seek to lull the hitter into making a mistake by baiting with a couple of slow balls followed by fastballs? Find out which is a pitcher’s dominant hand. 3) Knowing the hitters- Baseball is not only about the pitchers and the fielders but is also about the hitters. Here are some of the things you need to know about each hitter. Can they run fast? Are they tough enough or are featherweight? Who are left-handed, right-handed and switch hitters? 4) Get a spray chart- These charts show every ball hit by a hitter over the years or in a particular season. These charts are the most important as these inform you on which side they are more likely to hit a home run and triple runs.